I first made Jack Skellington for Halloween 3 years ago. Till today, we have never watched the movie, The nightmare before Christmas. However, my boys are very familiar with this character, simply because there there is a theme ride in Disneyland which features him. 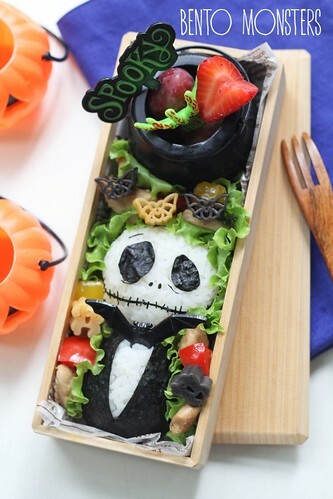 Somehow, Halloween always reminds me of Jack Skellington, click HERE to check out similar creations of him from previous years. I've to admit this was not my original idea, I had wanted to make a full bodied version of him this year. 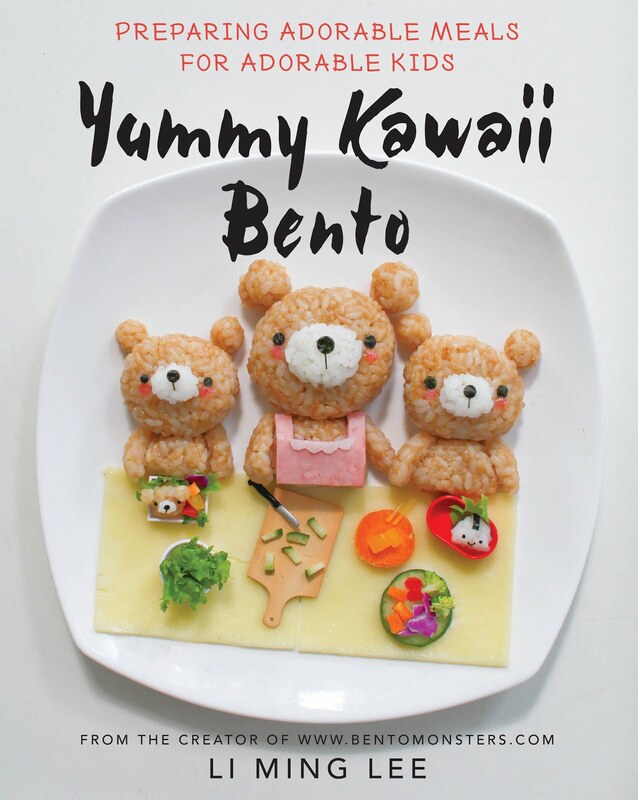 But I was making another bento for my book prior to this, and it took up more time than I expected. So I ended up making a simpler version of Jack Skellington instead. Never mind, I will make him again next year. The food packed in this bento were honey chicken stir-fry and lettuce. There were also grapes and strawberries in the mini cauldron. 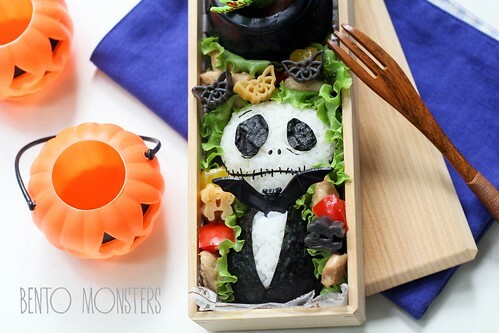 Jack is made from just rice and nori, the bat is a cupcake pick. 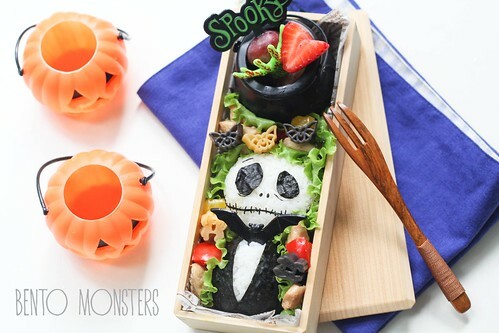 Love your Jack Skellington bento, very creative to use a bat pick for his shirt collar!